(WATCH) CNN's Lisa Ling shares..
MTSU honors 15 in Midstate as .. Award-winning investigative journalist Sharyl Attkisson will discuss governmental intimidation of journalists, network news’ increasing reliance on pop-culture “reporting” over investigative news and more when she visits MTSU Tuesday, April 7. The former CBS News and CNN reporter will offer a free public address beginning at 6 p.m. April 7 in MTSU’s Tucker Theatre inside the Boutwell Dramatic Arts Auditorium. She also will talk with several journalism classes during her MTSU stop. A searchable campus map with parking details is available at http://tinyurl.com/MTSUParking14-15. Attkisson has been nominated for and won multiple Emmy Awards for her investigative journalism, including wins for stories on the American Red Cross and the Troubled Asset Relief Program, or TARP. A former Capitol Hill correspondent and anchor for CBS News, Attkisson also has won the Radio Television Digital News Association’s Edward R. Murrow Award twice as part of a CBS News team and individually for her 2012 reporting on the U.S. Bureau of Alcohol, Tobacco and Firearms’ “Fast and Furious” weapons controversy. Attkisson left CBS in spring 2014 and later released her book, “Stonewalled: One Reporter’s Fight for Truth Against the Forces of Obstruction, Intimidation and Harassment in Obama’s Washington,” accusing the network of running advertorials and allowing biased coverage of the Obama administration. Her MTSU talk will include discussions of governmental intimidation and pushback towards journalists, blurred lines between traditional news and pop-culture websites and lessening network news commitment to investigative hard news. Longtime Nashville CBS affiliate anchor Chris Clark, who now teaches at MTSU, will moderate the event and will lead a question-and-answer session. Attkisson’s visit is sponsored by the university’s Distinguished Lecture Committee, College of Mass Communication, School of Journalism, Department of Electronic Media, the John Seigenthaler Chair of Excellence in First Amendment Studies, the American Democracy Project and the College of Behavioral Health and Sciences and College of Liberal Arts. 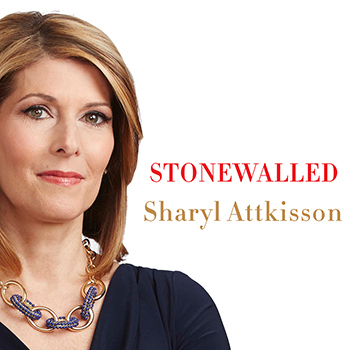 You can learn more about Attkisson at her website, http://sharylattkisson.com.